Chef Steven Petusevsky’s groundbreaking food philosophy and recipes — once so ahead of their time, yet now so timely — are captured in a diverse collection of cookbooks that offer a fresh, modern take on the ethnic-inspired dishes that made him famous. From flavor-packed sauces and dips to main courses such Athenian Chicken Roll-Ups and Firecracker Shrimp, Steve’s ambitious and highly celebrated book continues to revolutionize kitchens across the country. 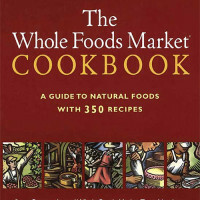 With mouth-watering, healthful recipes that appeal to both vegetarians and omnivores alike, Steve showed that nation that celebrating health doesn’t have to mean sacrificing taste! 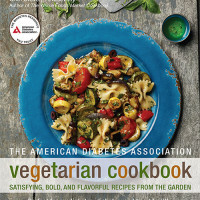 Aimed at those who are new to vegetarianism, this easy-to-follow cookbook acts as a personal guide to a healthier lifestyle, from selecting flavorful seasonal vegetables and building a pantry to preparing the most delicious and satisfying vegetarian dishes inspired by global cuisine. With dishes such as Pan-Seared Spicy Asparagus with Shiitake Mushrooms and Authentic Greek Salad, Steve proves that vegetarian meals can be satisfying, healthy, and diabetes-friendly! Nothing beats the experience of meats and veggies sizzling over hot coals or a gas-fired grill as the smell of smoke fills the air. 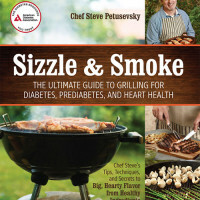 Which is why Steve wrote Sizzle and Smoke—the first grilling book designed specially for people with diabetes or prediabetes. A grilling master class and cookbook in one, it’s the perfect cookbook for the backyard BBQ chef looking to cut calories and inches— without cutting out fun and flavor!